Does your head sometimes start to spin when you look at all of the different ways you can sell on Amazon? It’s great to have choices, but sometimes they can overwhelm us! A way of selling may be perfect for one person, and not appealing at all for another person. There are so many factors to consider, including your own business experience, situation, tolerance for risk — and simply preference. We personally chose retail arbitrage because we like it and are good at it, but that’s not the model for everyone. In our Getting Started On Amazon Guide we use the retail arbitrage model. You can still use the guide as a reference, even if you end up going with another business model. In this post, we are going to help you sort through the choices by providing a definition of the most popular selling formats and the pros/cons of each one. By the time you’re finished reading this article, you should have a good understanding of what model is the best fit for you, as well as where you can go to get started! What Are The Different Ways Of Starting An Amazon Business? Retail arbitrage is when you purchase a product at a retail store for one price and then sell it at a higher price on Amazon. It’s essentially “flipping” merchandise, or what is often described as taking advantage of market inefficiencies. Usually, we manage this by finding clearance items at the local retail stores and then selling them on Amazon for closer to the regular retail price. Less often, we are looking for items marked at regular price that we can sell for 3x or more on Amazon. This happens most in the “4th quarter.” The time of year when people are in buying frenzies and desperate to find that “one hot toy” and will pay any price for it. It was often selling on Amazon for over $200! The way it works in the normal time of year is you might find an MP3 player on clearance at Walmart for $15 that sells on Amazon for $35. After Amazon fees and their cut, you might make a profit of about $10. Retail arbitrage is our specialty! 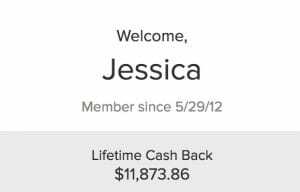 It’s where we got started and originally found success — Jessica was able to replace her income in a few months and then bring Cliff home from his job in about a year’s time. If retail arbitrage sounds like the perfect Amazon business model for you, then you are in the right place! Our site is made for sellers who do retail arbitrage!!! Whoop whoop. 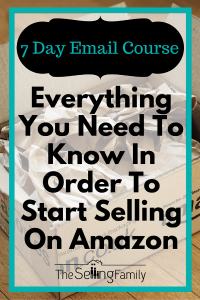 We have a free 7-day email course for those of you wanting to get all the details about starting on Amazon using Retail Arbitrage. If you'd rather jump in with both feet, then our Amazon Boot Camp is perfect for you! 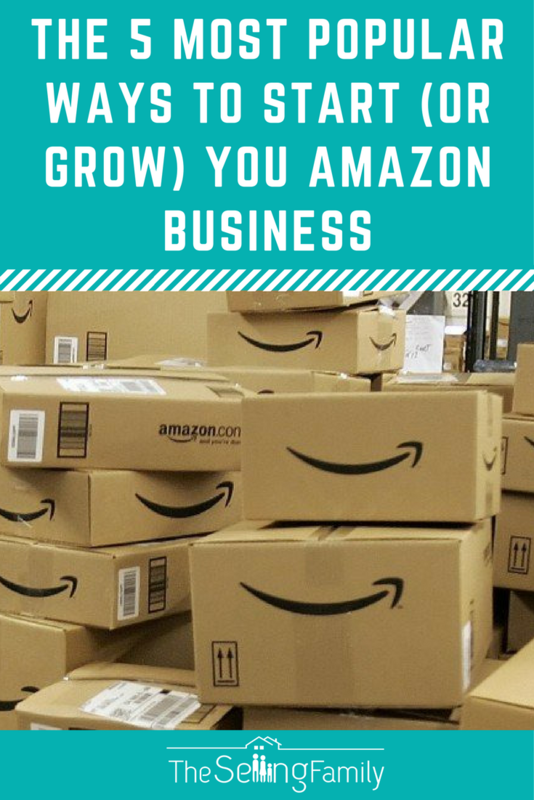 In this video course we take you step-by-step through the process of starting your Amazon business. Things you need to know before buying your first product, setting up your account, buying inventory and making sales. 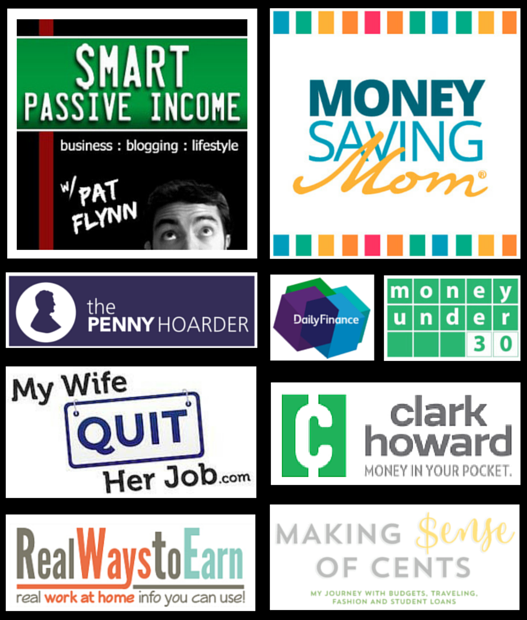 All from the experience of growing our own six-figure Amazon Retail Arbitrage Business. The course includes video modules, custom printables and checklists and a bonus section. More than 4,000 people have taken the course so you are in good company! We also have an accompanying private Facebook seller group where you can ask questions and share your successes with thousands of other members. For a much more in depth look at how retail arbitrage works, check out our Retail Arbitrage 101 post. Online arbitrage is very similar to retail arbitrage. Instead of heading to your local Walmart store, you would instead go to walmart.com. Then on the website, you are looking for items on clearance, just like if you were in the store. Then, instead of scanning those products with your scanning app, you would compare the prices direct to the Amazon website to see if they are going to be profitable. There are even lots of tools for making online sourcing easier. There are hundreds of websites available to source from, from large chain stores whose names you may recognize to a bunch you may never have heard of. One of my favorite things about online sourcing is the ability to buy from stores that we do not have locally, but have great deals we can flip on Amazon! For example, we don't have Farm and Fleet here in California. But I've ordered from there many times. Once I get the products delivered to my doorstep, we can prep those items and get them right back out the door to the Amazon fulfillment center. Over the last few years, we’ve added online sourcing as a major way to find inventory during the first three-quarters of the year. It allows us more flexibility to spend time with our young son, plus it complements the products we find when we do head to the store to do retail arbitrage. We can also buy in larger quantities than we can in store. Here is a list of our top tools for online sourcing that can really help you as you add this business model. We also have a list of stores that we recommend sourcing from. If you want to take a more hands-off approach to online sourcing, I recommend checking out the automated scanning service called Source Mogul. This service makes it so you can scan an entire online store with the touch of a button! With wholesale, you typically buy direct from the manufacturer - or from a middleman - and buy in larger quantities in order to get a lower price than you would at a retail store. This is usually a business model you'd tackle after selling on Amazon for awhile. With wholesale, it's extremely important to understand things like sales ranks and sales history. With retail arbitrage and even online arbitrage, you'll hear us talk a lot about going wide instead of deep. What this means is that we'll recommend that you buy 3-5 of an item and test them out before buying more. But when you get into wholesale, you'll enter the world of “going deep.” In this Amazon business model, you'll often be required to place a minimum order worth hundreds of dollars. The risk in wholesale is higher than in retail arbitrage because you tend to buy in bulk, so experience counts. You'd hate to buy 200 of an item and then be stuck with it! Your research is similar to retail and online arbitrage, but again, you need to be extra careful and very confident of your purchases. It's important to fully understand how to interpret a Keepa and a Camel Camel Camel graph. To learn more or for a refresher, check out How To Read A Keepa Chart. You may also wind up creating new listings with this type of selling, either for a single product or by combining two or more products into a bundle. This is a way to reduce or eliminate competition, but it also takes some knowledge. Read our Top 4 Tips For Creating A Profitable Product Page On Amazon to learn more. Buying in larger quantities allows your business to be more passive. It takes less effort to sell 100 of the same item than it does to sell one of 100 different items. Bigger risk than retail arbitrage because you are buying larger quantities. There is always a chance you get stuck with large amounts of a product you can’t sell. Even though we haven't personally decided to go this route, we are seeing many have huge success with Wholesale! If you are ready to jump in right now, we recommend checking out our Wholesale 101 guide (FREE). Private label refers to the practice of purchasing a product and then putting your own branding onto it. Many times, Amazon sellers will purchase a product from China and then attach their own brand, logo and marketing to it. This is one Amazon business model, along with wholesale, that has gotten more attention recently, as the list of restricted items got larger and some sellers found themselves suspended (usually temporarily) for selling those restricted brands. With Private Label, you own the brand! You don't have to worry about getting in trouble for listing products that are banned. And you can pretty much wipe out your competition because you branded the product yourself and created the listing. No more finding people undercutting your prices! With this type of selling on Amazon, you'll need to learn about marketing in addition to becoming good at creating listings. It takes some work to launch a new product, but a lot of sellers think it's worth the effort. The risk with Private Label is that you won't have a sales history or historical ranking to rely upon when you make a purchasing decision. So your research will be a little different and definitely more advanced than with retail arbitrage, online arbitrage, or wholesale. You are basing most of your decisions on how well other listings appear to be doing, by using tools like Jungle Scout. If you want to get started with Private Label we recommend checking out our Private Label 101 guide (FREE). When sellers drop-ship, they purchase from a retailer or wholesaler and then have the order sent to the customer. This is the one business model listed that we actually DO NOT RECOMMEND! Some sellers like this Amazon business model because they don't have to handle product. They feel there is a time savings for not having to prep and possibly a money-saver, too, if you've ordered enough product that you'd need to hire someone to help prep and ship it. We stay away from it because we like to be more hands-on. With drop-shipping, you never get to inspect product before it gets shipped to the customer and you don't pack and ship it yourself, according to your standards. You also run the risk of a customer making a purchase and then you aren't able to find that product if it happens to be out of stock wherever you meant to buy it from. We've heard of many sellers getting suspended because of having to cancel to many unfulfillable orders, and customers who get mad once they realize the item is shipped to them from somewhere like Walmart when they ordered from Amazon. This is not an area we have used or explored, so we don't have any recommendations for further learning at this time. What is your favorite Amazon business model? We would love to have you joining us! Hi there….I just purchased the course and am very excited, however one question that I can’t seem to find the answer to is if we are paying to send products to amazon on FBA, then getting charged shipping again and fees when items are purchased and sent out by Amazon, doesn’t that eat into profits even more. I did not see this calculated into some of the apps and formula’s used. Forgive me if I have missed this answer. Thanks in advance. Hi Aisha, You pay a fee to ship the items to Amazon and then there are fulfillment fees when the item sales. but you do not pay another shipping fee. The Amazon seller app will take all of the fees into consideration at the time of scanning. I have old Store stock, mostly Music books, and some gear, which I’ve been selling on eBay. Most are single items, but some are multiple copies of the same book or item. Is this something I could sell on Amazon FBA? Would it be viable? you could sell them on Amazon. If they don’t have listings already, I wouldn’t personally create new listings for single items. Just curious where you store all the inventory? What if we don’t have enough space for that? Is there a model where Amazon stores the inventory at all? Or are they just there to facilitate the online sale? Hi John, Using the Fulfillment By Amazon method they actually store and ship all of the products for you 🙂 See how FBA works in this beginners guide. Hi, ive had an ebay store for 13 yearsand have never considered amazon until reading your article today. My biggest question is what happens if you buy a “dud” and it’s sitting in amazon’s warehouse taking up space not selling? What does amazon do? What do you do with the unsold product? Is there a window of time in which amazon requires it to be turned over? Curious since you mentioned stores ( grocery stores ) do you sell or avoid selling food items ? I’m not ready yet. I’m in the middle of reviving a defunct website, but in a couple of months I’d like to add beachy jewelry to my site. I was thinking just a few choice pieces. I’m with ya on the drop-shipping..and actually, if I’m understanding this model correctly, one of the biggest cons (in my opinion) is it takes forever for the customer to receive their product. With 2-day Prime, seems like a HUGE disadvantage. I live in Canada, is there an Amazon.ca? To do FBA retail arbitrage? There is FBA for Amazon.ca! Hi John, this would all need to be determined on a per item basis. This would be considered the Private Label model. I have been selling books on amazon for awhile but I’m ready to sell more things. What is my next step? Do I need the full boot camp or is there another course for me? Thanks! Since you have already started selling, there will be a few videos that you will not need in the Amazon Boot Camp. But, if you want to start doing Retail Arbitrage, then that would definitely be a great next move! If you sell PL I can understand ppc to promote it, even run at a loss waitng for a lift in sales as you wait for your next shipment, but how do you promote RA listings that have say 20 units and no prospects of adding more inventory ? Please. May i make a question? If, yes. I do not live in USA, but i would like to sell on Amazon FBA. How could i pack my products, individually if necesary, label them, and ship them to Amazon storage centers. Physically, it is not viable or yes? Hey Mauricio, I can’t personally help you since you live outside of the US, but I would recommend checking out this course.